We are excited to announce that we will be opening at 11 a.m. on Easter, Sunday, April 21! We will be serving everything from our regular menu on Sunday, except for pizza. (We know we are going to need both ovens for our traditional menu but be sure to visit us during the week for our wood-fired pizzas.) There will also be some delicious Chef’s specials for you to enjoy. Reservations are encouraged and can be made online. Here are a few of our favorite dishes and you can view our full menu here. TIRAMISU: Ladyfingers, Egg Yolks, Mascarpone Cheese, Cocoa, Coffee. PANNA COTTA: Vanilla Cream, Raspberry Sauce. Our full bar will be open as well and features an extensive wine menu, focused on Italian estate vineyards including reds, whites, Lambruscos, sparklings, rosés, and more! In addition to wine, we have a wonderful selection of cocktails and beer. Reservations are sure to go quickly. 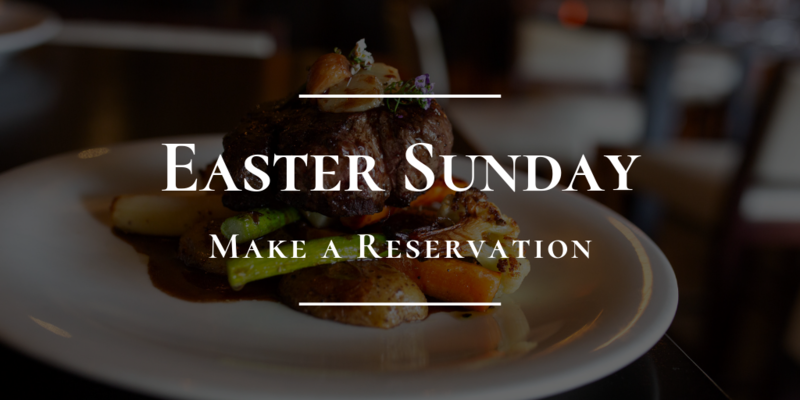 Reserve your table today to enjoy the holiday with friends and family. Parties of 12 or more are required to pay on one check. 20% gratuity will apply to party of six or more.